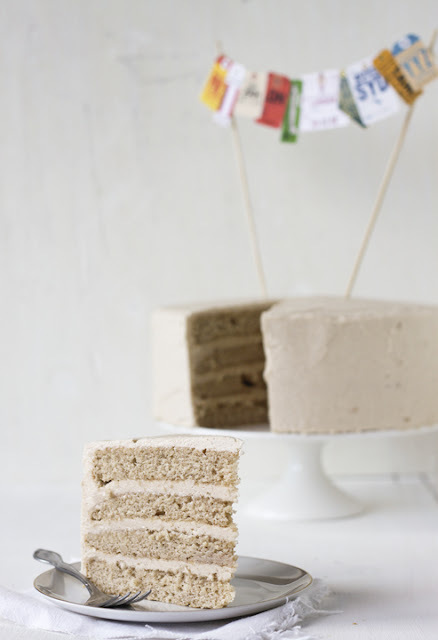 This snickerdoodle cake and brown sugar frosting combo is super tasty. The cake comes out really moist. And the frosting, it is just 'stand at the counter and eat with a spoon' good. 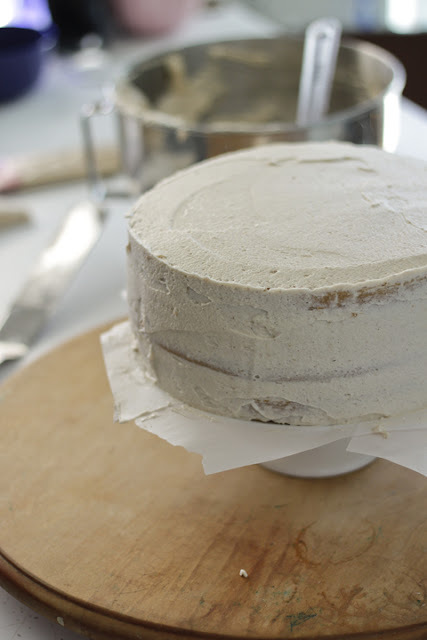 I cut the cakes into four layers just to add in more frosting. And it is a lot of frosting, three batches to be exact. Very healthy, right? Thats 6 1/2 sticks of butter in the whole cake. Paula Deen I hope you're proud. Wow, this cake sounds delicious. I will have to give it a try the next time I want to celebrate something! 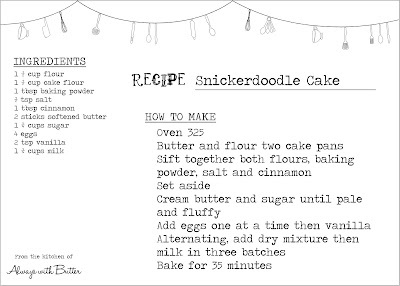 Yesss, I love snickerdoodle. Cinnamon is absolutely my favorite spice, this looks so delicious! I would love to win a trip to anywhere- all expenses paid. That alone is treat and then to get a delicious cinnamon-ey cake to boot- that's winning. You have some lucky parents, lol! That looks absolutely delicious! Question, what size round pans did you use? 8-inch? 9-inch? Thanks! I used 9 inch pans. Hope your parents are having a great time! I love snickerdoodles! I'm sure it's amazing in cake form! I'm going to try this for my husband's 30th birthday. He's a snickerdoodle man. Thanks for sharing this! I love all the layers! What a gorgeous cake! Eee I love cake toppers like this and am about to make one for my bf's birthday cake :). This recipe is similar to a yellow cake I tried that turned out nice in flavor but a bit dry. Your recipe has 1/4 cup more milk though. I bet that makes it perfect in texture :). 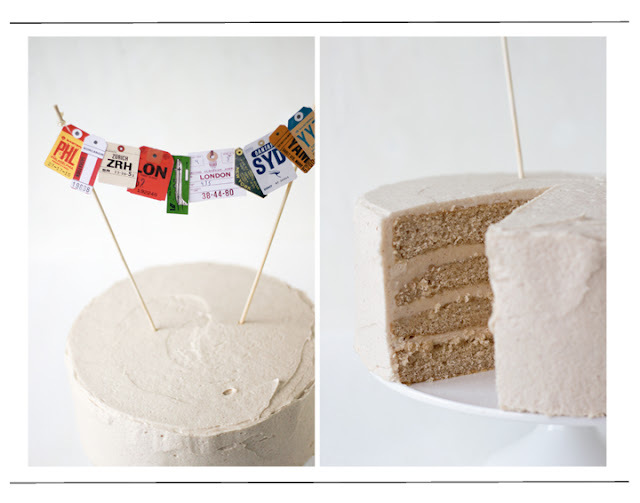 And of course snickdoodle in cake form is brilliant! snickerdoodles are my FAVORITE. I cant wait to try them as a cake instead! Your pictures are gorgeous! What a gorgeous cake for your parents and how awesome that they won this incredible trip! Your photos are also quite incredible. i came here via your flickr page! this cake sounds lovely and i like you presented it! 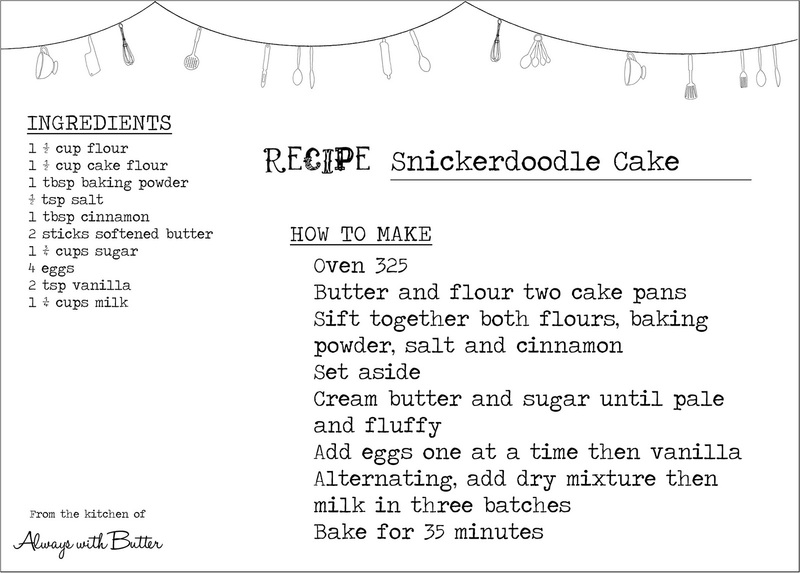 the recipe cards are brilliant :D hope to see more bakes! btw the trip with the gnome sounds awesome! Exciting for your parents. Wow that is an incredible cake. Congratulations to your parents! What a dreamy place to win a trip to. And this cake looks just as dreamy. It's on my 'To-Bake' list now. 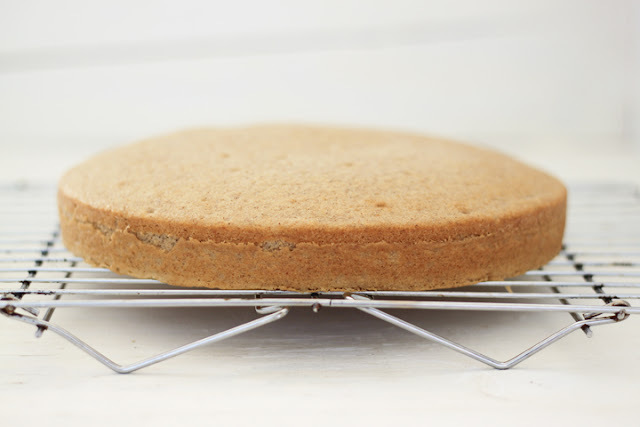 Ok so I am about to set in on making this cake, I already have all the ingredients out, and I came to the computer to check a measurement (I dont have a printer)but then I realized I cant tell what the fractions are. I am in serious trouble because my computer is next to useless and I was making this for a party at 6 tonight. could someone help me out? anonymous: glad you figured it out!! if you ever have any questions feel free to comment with them or email them to me, I normally respond in less than 24 hours. 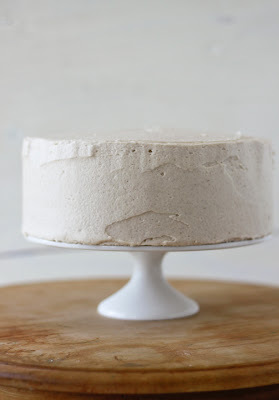 Way to turn my favorite cookie of all time into a seriously luscious cake! And do calories ever really count when it comes to cake....? I hope not. If I wanted to make cupcakes with this recipe would you suggest cutting it in half??? i just made cupcakes with the recipe! they are delicious, and it made 3 dozen. 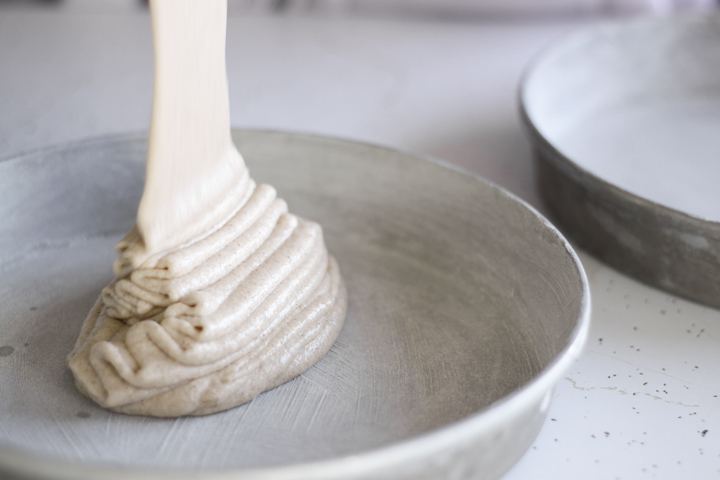 I just finished making the frosting, and I can still taste a little of the texture from the brown sugar, is that how it is supposed to be, or should it have dissolved? I can't tell what the fractions are. OFC I have my pans buttered/floured & ready to go. My bad. Any help would be appreciated. I can't wait to try it. Thanks! I can't read the fractions either. I tried enlarging the picture of the card, and I tried a different browser. It didn't help. I'm looking for a cake for my birthday party (yes I'm making my own cake!) and I think this one is a winner! Looks so good! Thanks for sharing. Mine isn't as pretty as yours, but it was so delicious! Julie, this cake looks good enough eat off the screen! Definitely on my to make list when a gathering of any type happens again. 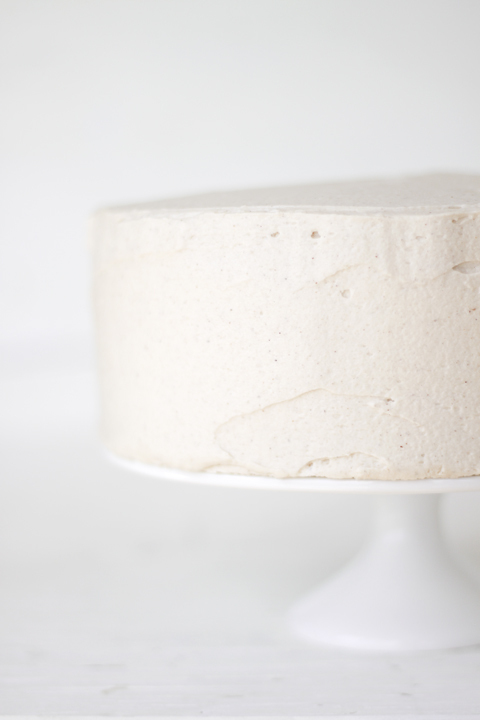 Question: What recipe do you use for original buttercream? I'm curious to see if we do it the same way, or if maybe you have an idea or two I should try. I simply clicked on the recipe cards and they enlarged so you can read all the ingredients clearly. I cannot wait to try this cake! Making it now :) Thanks! I just made this cake and it tasted amazing but it was a bear to ice, very crumbly! Did you have that problem? The other thing was I had to cook it about 50 minutes for it to be done. I love it though! Yum!! Thanks for sharing! Mine turned out a bit dry/crumbly and it's dense. Any suggests on how to keep it moist? 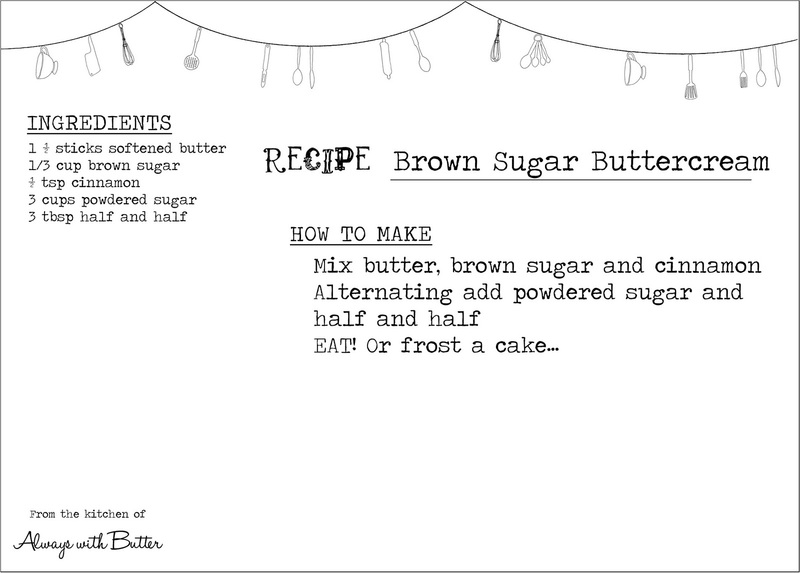 buttercream fractions: 1 1/2 butter 1/3 brown sugar 1/2 t cinnamon 3c powdered sugar 3t half and half. 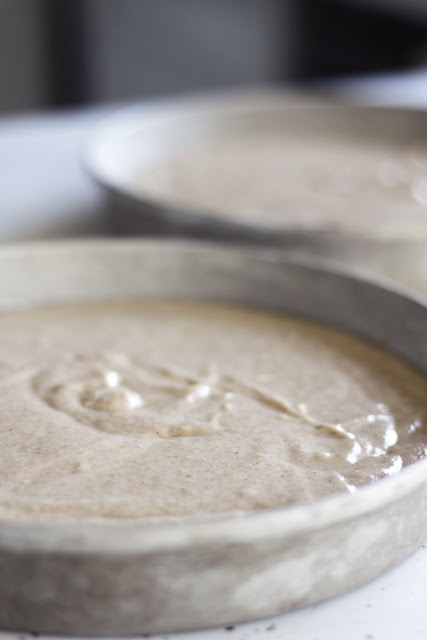 This recipe is so lovely! Instead of the two flours I just used self-rising. I prefer it over everything else because it makes the cake fluffy. Had this with homemade cinnamon ice cream and it was great. Thanks for the recipe! Hi, a friend sent me a link to your site. This recipe is calling my name and I'm going to try it. One question: Have you ever experimented with different amounts of baking powder and adding cream of tartar? 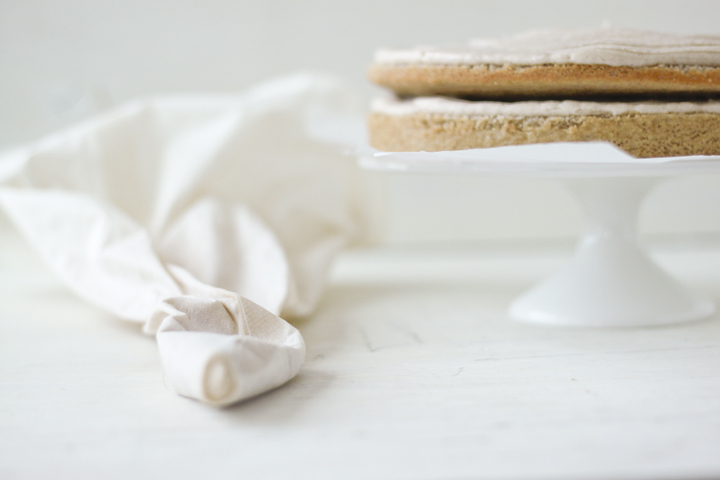 I think the cream of tartar is what gives snickerdoodles their unique flavor, and I wonder how to incorporate that into the cake without making it a frosted stack of cookies. Hi! Love your recipe, sounds delish! Curious, is that salted or unsalted butter? this has become one of our very favorite cakes! 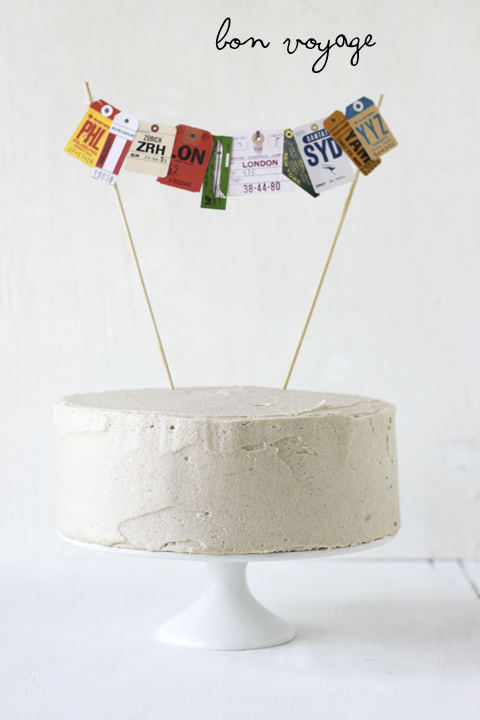 i've made it as a sheet cake and a layered cake and layered cake is the way to go! Shared this on my site today....giving you credit for the recipe!! i'm in love with all of your photos! 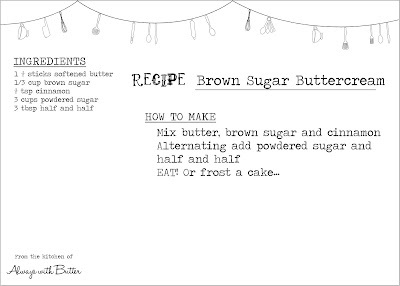 How do you print out this recipe, I have a print friendly button on my browser and I can barely see the instructions let alone the fractions part of the recipe and I have it on the biggest print size.